"Don't let your throat tighten with fear. Take sips of breath all day and night." Chipped paint on door and trim, and no time to paint? Most trim is painted white. When it gets chipped you often see right down to the dark wood below, especially on an older home. The high contrast draws your eye right to the chips. Try camouflaging it with liquid "white out." You know the stuff we used to hide typos when we had typewriters. . .
OK, I'm older than you thought . . . but this really works! The Staging Diva Network Online Discussion Group just got even better with the new Live Chat feature. This add-on service is included in the monthly membership fee of only $20. I'm hosting a live chat May 16, which is f'ree to all Staging Diva Network Members. If you've already taken the Staging Diva Program, you know I'm a big fan of the Publicity Hound. If you've never checked her out, do it now! This book by "the world's number one small business guru" plus the TeleClasses I've attended with him motivated me to sign up to go to San Diego to have Michael E. Gerber coach me in person. If it's all about "selling a course" then don't expect anything else once you're a paying customer. I don't know about you but I felt like spring would never get here! It's such a pleasure to see the daffodils and hyacinth coming up in my garden after all these weeks where the only thing "spring" was the real estate market. To celebrate Mother's Day, I'm offering you a $25 sa.ving in this issue. If you have tips on where to stay while I'm in San Diego working with the world's leading small business guru and best selling author, Michael E. Gerber, let me know! There are now over 450 Staging Diva Graduates across the US and Canada and in many international countries. Unfortunately we don't have anyone in Tel Aviv, because I have a homeowner with a $600,000 home and no one to stage it. Happy Spring, Happy Mother's Day, Happy Victoria Day and Memorial Day long weekends! The goal of any staging project is to create an environment where potential buyers fall in love with a home and imagine living there. It’s important to remove diplomas, personal photos and religious items since these distract buyers and remind them they are walking through someone else’s personal space. not become a focal point or distraction to home buyers. Usually, I stick to pretty traditional art that enhances a room while staying somewhat in the background. Landscapes, still life, botanicals and some more contemporary abstracts. Depending on the house, I sometimes use reproductions of: Van Gough, Kandinsky, Monet, Miro, Matisse, Warhol, Rothko, O’Keeffe, Seurat, Klee and Wyeth. Black and white photos in dark black frames also work well. I avoid religious art, most nudes, and edgy contemporary art with subjects that might upset buyers. The art is there as a backdrop to support the beauty of the house itself. 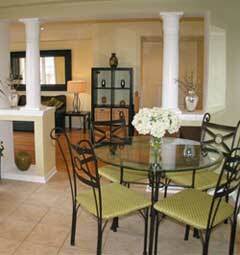 The photo above is from the very first home I staged for a client. Rearranging their art, and deciding where to hang the 10 paintings I rented, were among my favorite activities in the whole project. 1. You get a referral for a home staging project in your area. You know the potential client has your contact information. a) Wait to hear from the potential client and assume they hired someone else if they don't contact you? b) Wait a week to contact the client so they won't think you're too desperate? 2. You discover there are other stagers in your area. b) Decide to go into business anyway and charge less than the competition because you're just starting out? c) Research the number of homes for sale in your area over a year and evaluate whether that sounds like enough potential work for you and all the other stagers in your market? 3. You invest in your own web site or having a profile page built for you in the Staging Diva Directory of Home Stagers. After less than two months, you've only had one project. a) Decide the Internet is a bad way to promote your staging business and take down your website or Profile page? b) Decide to run one newspaper ad or send flyers door-to-door instead? c) Evaluate whether the site has had any traffic. If it has, you try to determine whether there is anything you can do to encourage more of the visitors to actually contact you? 4. You've been in business for several months but you don't have as much business as you'd like. b) Spend hours discussing your lack of projects and hoping someone will give you the "quick and easy" solution to building your business? c) Pull out your list of strategies for dealing with the "slow times" from Staging Diva course 1, look at your list of business building ideas from course 2 and all the marketing ideas in course 4 and take action to change your situation? I listened to a very interesting TeleClass this week. Michael Port was talking about the shared characteristics of successful entrepreneurs. One of them was a "sense of urgency around achievement." In other words, they don't wait for success to happen, they go out there and take action to make it happen and they treat this as an urgent priority, not something to get around to later. In my quiz above, you should be answering "c" to all the questions if you're thinking like an entrepreneur and if you REALLY want to turn your creative decorating hobby into a lucrative staging business. 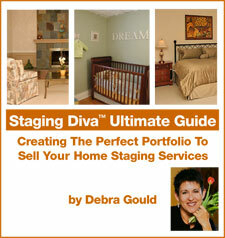 Learn more about the Staging Diva Training Program. "People feel more confident hiring you if they can read what others have to say about the experience. Mentions how it felt working with you. States the results that were achieved." I'll tell you how to get this kind of testimonial, even before you've had your first paying client in the Staging Diva Ultimate Portfolio Guide. This Guide to creating a portfolio that really sells your services includes over 100 pages of specific steps to improve your writing, photos, logo, presentation and more! A big congratulations to Staging Diva Graduate Kris O'Neill of A Cents Of Design Inc. who just finished taping show seven for HGTV's "My First Place." Once they experienced her talent, they kept her on for all nine Atlanta shows. The series second season airs this fall. Kris writes, "Debra, thank you for playing a major part in my success. If it weren't for the tools you instilled in me, and my own flare for design, I would not have had this once-in-a-lifetime opportunity! My hats off to you and your invaluable techniques in promoting and building my business!" Congratulations to Jo Ann Kostik of Jo Ann Kostik Interior Design whose active participation in a fundraising event for the New Orleans Home Builders Association not only raised much needed funds for the area, but also lead to an invitation to stage a builder's parade home. Jo Ann writes, "your information from course 3 will really help me with pricing. I can't wait to finish the other two courses!" Congratulations to Staging Diva Graduate Nancy Maurer of Whitehall Interiors & Home Staging LLC who submitted an article on home staging for the local paper's Real Estate Showcase Section. As discussed in course 4, this is a great way to showcase your company and establish yourself as the local expert. Within 24 hours of the story appearing, Nancy had her first paying client! More projects will follow since other readers realizing they'll need a stager when they're ready to sell their homes, likely saved her article. Congratulations to Judy Gardner of Unionville on doing such an awesome job of staging her own home that the person who bought it wants to hire her to stage his! This is just one of the many beautiful images her proud husband sent me of their own staged home. Well done Judy. 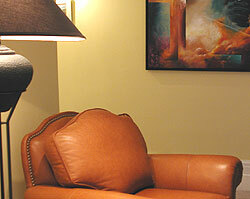 You've definitely got a stager's eye-- you're a natural! This week I was interviewed for a home staging story for America Online's Real Estate. The story will be up within weeks and include a link back to stagingdiva.com. This is tremendous news from a search engine standpoint since the single biggest way to boost your site's search engine ranking is to have a high traffic site link to it. You can't get much bigger than AOL. If you're not part of the Staging Diva Directory of Home Stagers, you are really missing out on how much it can do to build your business. I'm really excited about the home staging story for this fall's Better Homes and Gardens. The reporter called me back this week for more photos for the story, plus she interviewed two of my clients to help illustrate the difference we can make in our clients' lives. With a circulation of over 38 million, this article will send significant traffic to the Staging Diva Directory of Home Stagers this fall! To buy a tiny ad in Better Homes and Gardens costs hundreds of thousands of dollars. The value of being part of the editorial content is even higher because readers put more faith in editorial than advertising.